I have just returned from a lovely trip to Paris. I went with my best friend/flat mate to celebrate the fact that we've been friends for fifteen years. As we were only going for four days I took a tiny suitcase with me. And that meant a tiny soap bag, which meant not much make up at all! It was actually kind of a struggle, but an interesting challenge. I normally take loads of stuff with me on holiday and then never use even half of it. So I tried really hard to think about what I would actually need and use. For a base I took the Laura Mercier tinted moisturiser and primer. I've fallen in love with this product. I bought it last summer and wasn't wowed, but this summer I've worn it almost daily! I also took Benefit's Powder Time Lover for blush and bronzer. This has Hoola bronzer, and Coralista and Dandelion blushes. My Bobbi Brown corrector and concealers were also pretty essential, we had a few late nights (one involving closed metro stations, the Eiffel Tower and police officers). 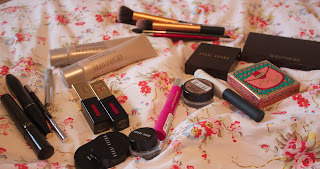 I took my Bobbi Brown gel liner, and the Bobbi Brown Bronze Tortoiseshell pallet. 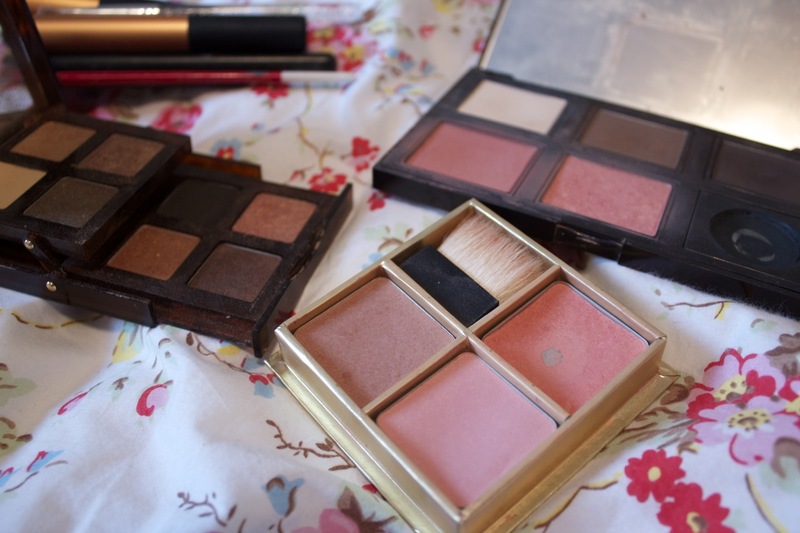 And the only other eye shadow I took was the Maybelline Colour Tattoo in On and On Bronze. I LOVE this. I do love a good bronze eyeshadow. Mascara wise I took the No. 7 Lash Adapt (favourite ever? Probably), Lancome Hypnose and the Clinique bottom lash. I knew I wanted to wear bright lips in Paris (that feels very Parisian to me, am I the only one?) so I took both my YSL Glossy stains, in a fuchsia pink and bright red. I also took a Revlon Just Bitten Kissable Balm Stain which I am in love with. I also took my customised Laura Mercier pallet with me, which has in two blushes, three matte eyeshadows which I used for my eyebrows as well as shadows, and a cake liner. Overall I'm pretty happy with what I took. I used almost everything at least once. But I did splurge on a few things which will be featured in an upcoming post.